What the heck is paint protection film, anyway? Paint protection film is — you guessed it — a protective urethane film custom fit to cover the most vulnerable places on your car from gravel, debris, stones, road salt, bird droppings and insects. It is made from super durable urethane, a clear and lightweight substance that, when installed correctly, is just about undetectable. Paint protection film is most often cut to fit the most damage-prone surfaces of your car, including the hood, fenders, bumpers and side mirrors. 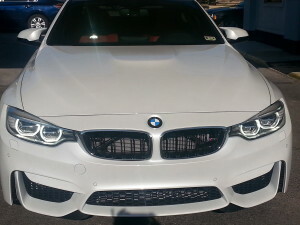 There are two kinds of clear paint protection film on the market. The first is coated film, which includes a clear coat to help seal the film, and is thicker and more durable. It is just like a clear paint top coat on a vehicle, meaning that cleaning, buffing and waxing is exactly as it would be when working with the paint on a car. The second kind of film is called non-coated. It is a little bit thinner in feel than coated film, and can provide cost savings for “garage queens” — that is, cars that aren’t driven on a daily basis. This is the perfect option for car enthusiasts and collectors who take meticulous care of their vehicles. But is PPF really that much better than other solutions? Clear paint protective film isn’t just the best protective solution on the market, it’s also far better than previous protective film technologies, such as black, vinyl bras. Older solutions often damaged the cars they were meant to protect, and they were far more noticeable to the naked eye. In contrast, clear paint protective film was designed to provide as much protection as possible without interfering with the look and feel of the car. You’re a big outdoors buff and often drive on gravely roads (take us along next time, would you? We make great s’mores). Your parking spot is conveniently located beneath a tree, and you regularly find your car coated in bird droppings (we blame the grackles). You plan on reselling your vehicle and want to keep the coating in tip top shape. Your car is your pride and joy — and you want your pride and joy to turn heads! Now that you’ve decided PPF is the way to go, should you go with coated or non-coated? That depends on you and how tough you are on your car. If you drive your car frequently and you either get it detailed or clean it with compound cream or high-speed polisher, go for the coated option. Coated PPF, after all, is as strong as a painted finish, and it can take a beating. This is also the right option for you in the bird dropping case, as you’ll need an intense cleaner to remove deep stains. However, if your car spends most of its time hanging out in a garage and you clean with simple soap and water, then the non-coated option might do just fine. Clear paint protective film is a highly effective way to protect your car from everyday wear and tear — and in that way, it’s a great way to protect your investment for resale later down the road. 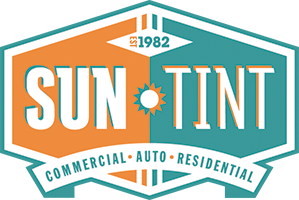 Contact a specialist at Sun Tint today to learn more about what PPF can do for you. Sun Tint installs complete clear paint protection film on full hood, bumper & fenders. Great information – I didn’t think about extra protection for my vehicle, but I am going to look into it now. Thanks for sharing!